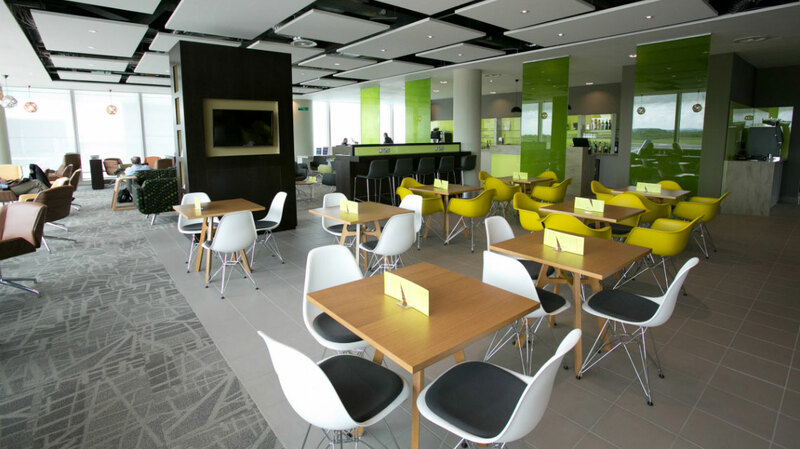 What better way is there to start your travel than with a peaceful and enjoyable visit to an airport lounge. Whether travelling for business or pleasure, there’s simply no better way to get your journey off to a flying start. Proceed through Security and turn right towards the shops. Turn left, pass 'Dixons' and take the elevator or stairs on the left hand side to Level 3. The lounge is located before the main Duty Free Shops adjacent to the 'BA Executive Lounge'. Designed exclusively for Escape Lounges, our complimentary buffet is prepared using only the very best locally sourced ingredients. Join us for a continental breakfast and choose from a delicious selection of cereals, fresh fruit, warm croissants and freshly prepared breakfast rolls. Our brunch and afternoon menu consists of freshly baked pies, pastries, grazing boards, salads and handmade sandwiches served alongside our soup of the day, and for those with a sweet tooth, a choice of cakes and biscuits are available. An upgrade menu is also available, providing a wider range of hot meal options to purchase. Our complimentary bar is well stocked with an assortment of alcoholic drinks such as prosecco, wines, beer and spirits, alongside tea, coffee, soft drinks and fresh fruit juices. Premium drinks are available to purchase for that special occasion. You can use the lounge for up to three hours prior to your flight time. Lounge access is reserved from the time specified in your booking and your three hour entitlement commences from this time. The Escape Lounge welcomes well-behaved children in the Escape Lounge; those aged 24 months and older are required to pay the standard entry price. Children aged 0-23 months are permitted to enter for free, however we must be made aware of all infants in your party otherwise they may not be admitted. Whilst we welcome well-behaved children to the lounge, this is a quiet, adult environment and we do not provide specific entertainment for children. At the Escape Lounge you’re always assured of a warm and friendly welcome. Our helpful staff pride themselves on their excellent attention to detail and customer service and are more than happy to help with any additional services you may require.